Win VIP passes to see us at the Ideal Bride Wedding & Formal Expo! This year Cyan Reign will be showcasing the all new range of bridal and formal wear (and of course corsets!) for the first time at the Ideal Bride Wedding & Formal Expo! This amazing event takes place over 3 days of glitz and glamour at the RNA Showgrounds on 9th, 10th & 11th September. To celebrate our very first Bridal Expo we have 2 x double VIP passes to the Ideal Bride Wedding & Formal Expo +$100 vouchers towards your wedding or formal dress to give away! *Read below for details on how to enter. We cater to every bride’s whim and desire with beautiful cuts, high quality fabrics and our specialty – couture! There will be classic cuts for the more traditional bride and as usual you can also expect something a little different on offer for the bride that wants make a statement. As you all know corsets are something that we are well know for, both in quality and superb fit. So why not have your ideal figure for your perfect day? We can make to measure corsets to secretly shape you under your gown, feature prominently as part of your ensemble or even start waist training you months in advance so you are exactly the way you want to look when you walk down that aisle! We will have some ready to wear dresses and corsets that are available to purchase on the day and if you would like us to create your dream dress we are also able to book you in for your first fitting and take deposits on the day. For convenience, we will have a mobile eftpos to save you having to carry around cash or needing to run to the atm. Just to make things even more fun, there will be several Cyan Reign gowns and corsets on display in the fashion parades at 7pm Friday and 11:30am & 2:30pm Saturday and Sunday! 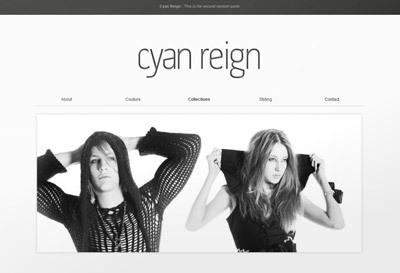 To win, simply tell us why you think Cyan Reign would create your dream dress for you perfect day. Please include your full name, postal address (for us to be able to send the tickets to you), mobile phone number and your birth date (it’s ok, we don’t need to know your age. We just want to be able to send you special on your birthday). The two best answers will win! Competition closes at midnight Sunday 4th September 2011. Winners announced on Monday 5th September 2011.